Planning a wedding can be stressful with many details to juggle. We want your invitation ordering experience to be enjoyable and we are here to help you through each step. 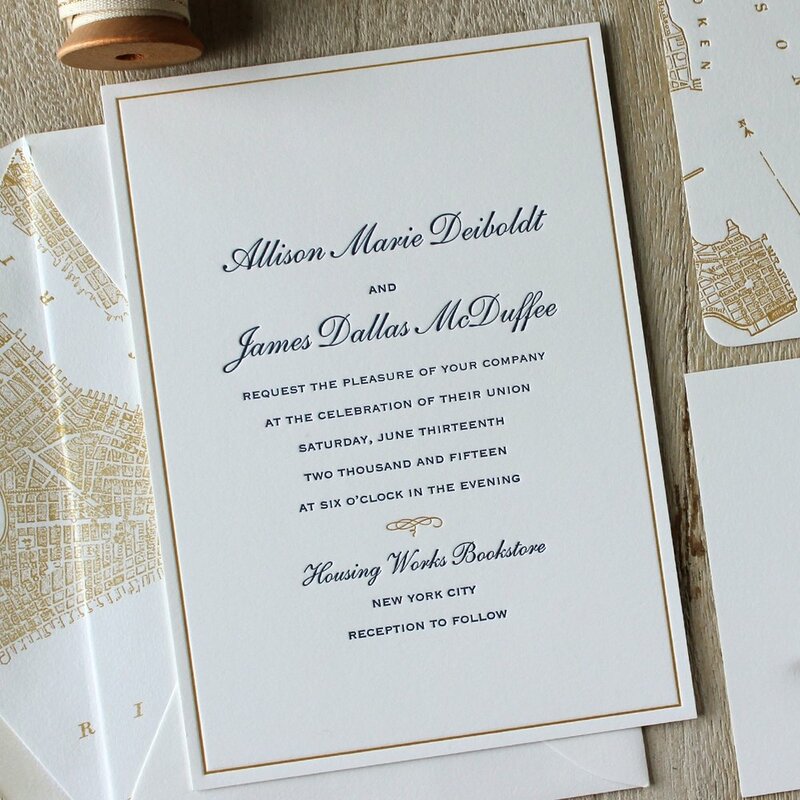 We have a worksheet to jumpstart the design process, we'll brainstorm ways to incorporate your personal style into the wedding stationery and we'll make sure your guests have all of the details they need when they receive your elegant invitations in the mail. Our role as your stationer is more than just design and printing. We're here to make sure every detail is covered and your stationery is perfect so you can focus on everything else you need to do. 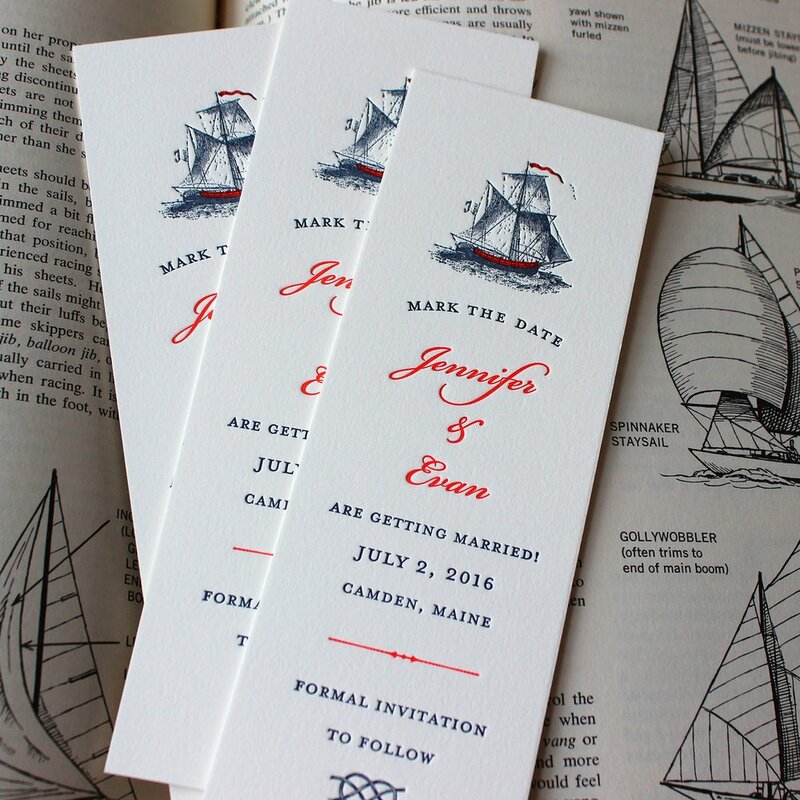 Save the Dates can be lighthearted and more casual than the formal invitation, or they can match the design closely so the guests have a sense of the celebration to come. 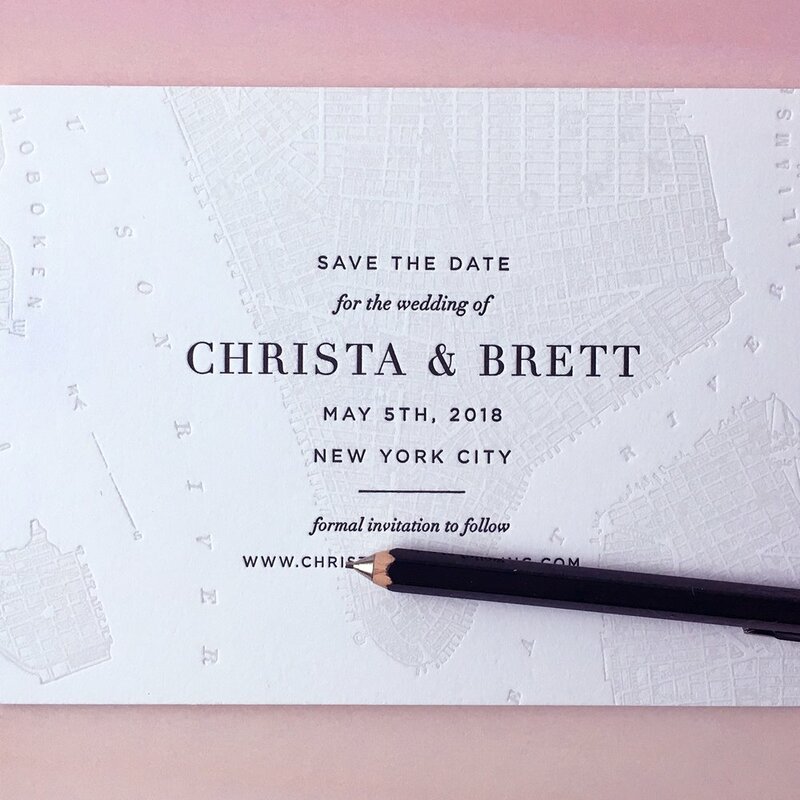 Regardless of the design, the text for these is usually very minimal, but should include your names, the wedding date, the city of the wedding and often a website address for guests to refer to for details on travel, accommodations, wedding registries and more. 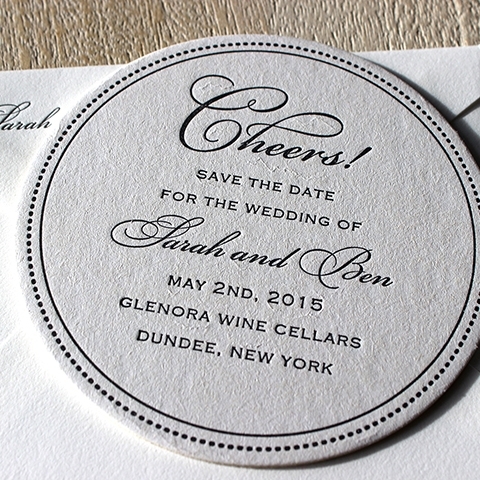 One of the daunting tasks associated with wedding stationery is drafting the text for your invitations. Wording should follow some etiquette guidelines and clearly communicate the details and style of the event. 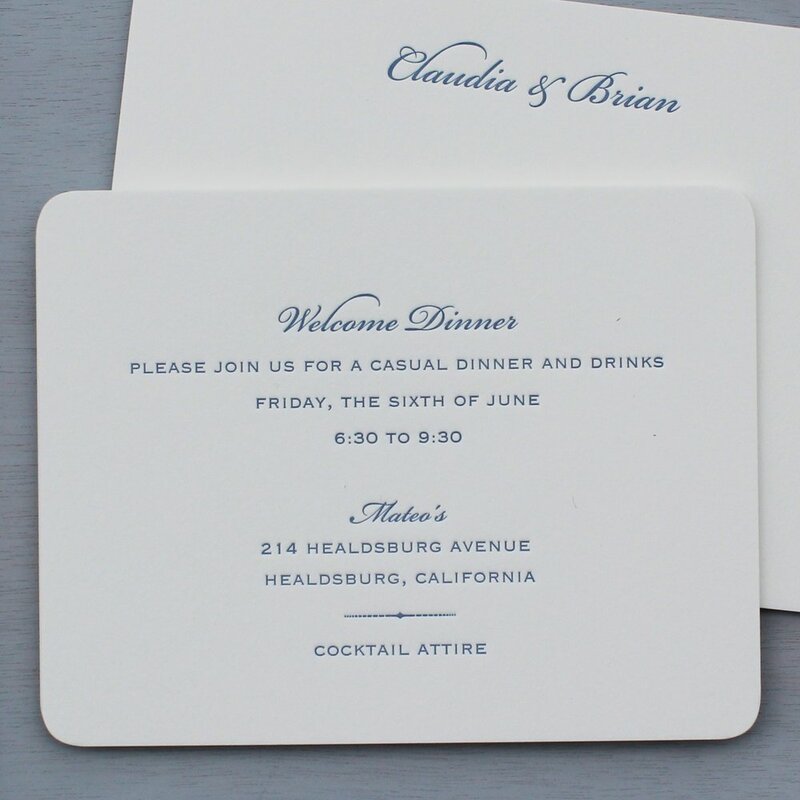 Below are some simple tips for the invitation card text. 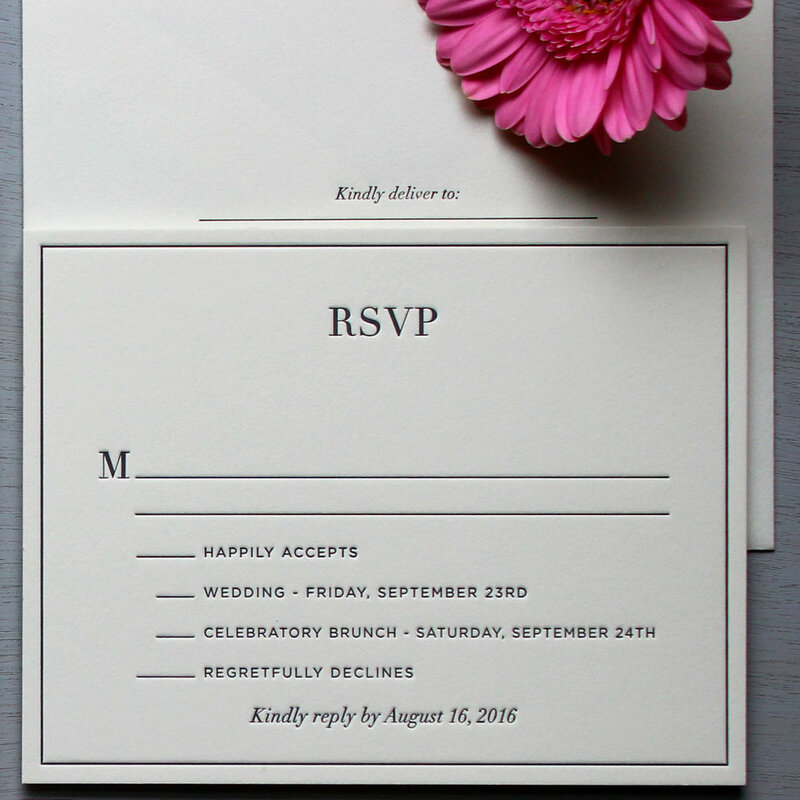 Or you can use a totally different separate reception card, but make sure to mention the time if the reception does not immediately follow. We've learned it's often easier to edit text rather than start with a blank page, so we've pulled some samples of wording options we've printed so you an visualize how these will look on a card and determine which is best for your event. Response cards should always have a respond by date, shown clearly at the top or bottom of the card. You can opt for a simple design, with a blank space for your guests to write a note, or spell everything out for them to make sure they provide with all the pertinent information. You may also provide a space for guests to let you know of any dietary restrictions by noting it and leaving a space at the bottom of the card. 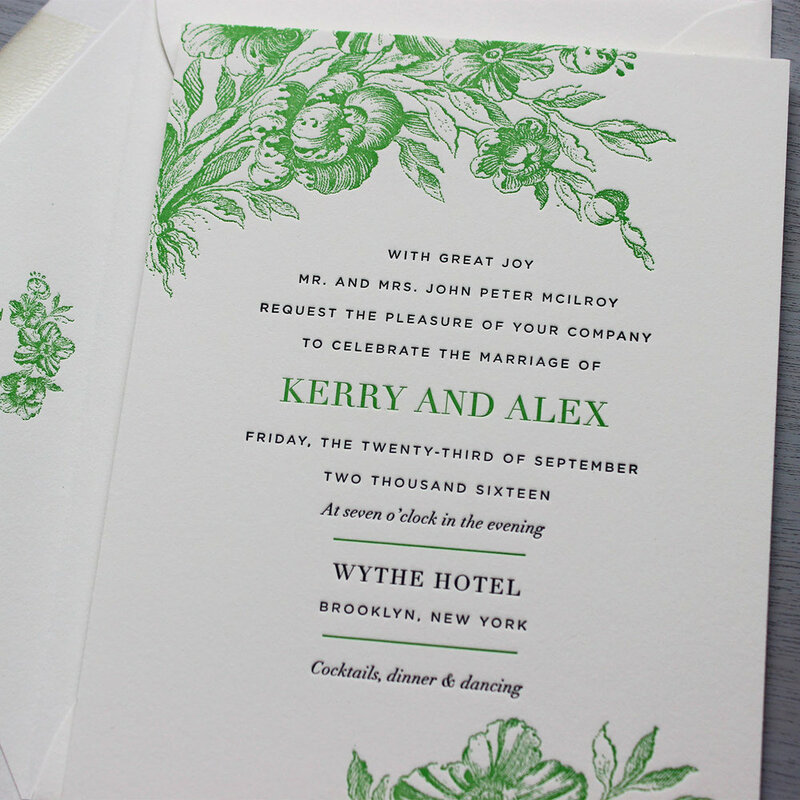 If you're hosting multiple events on your wedding weekend, its always nice to print the information on a card designed to match the rest of your suite. Often, couples and their families will have a welcome dinner or party preceding the wedding, and a farewell brunch the day after the ceremony. 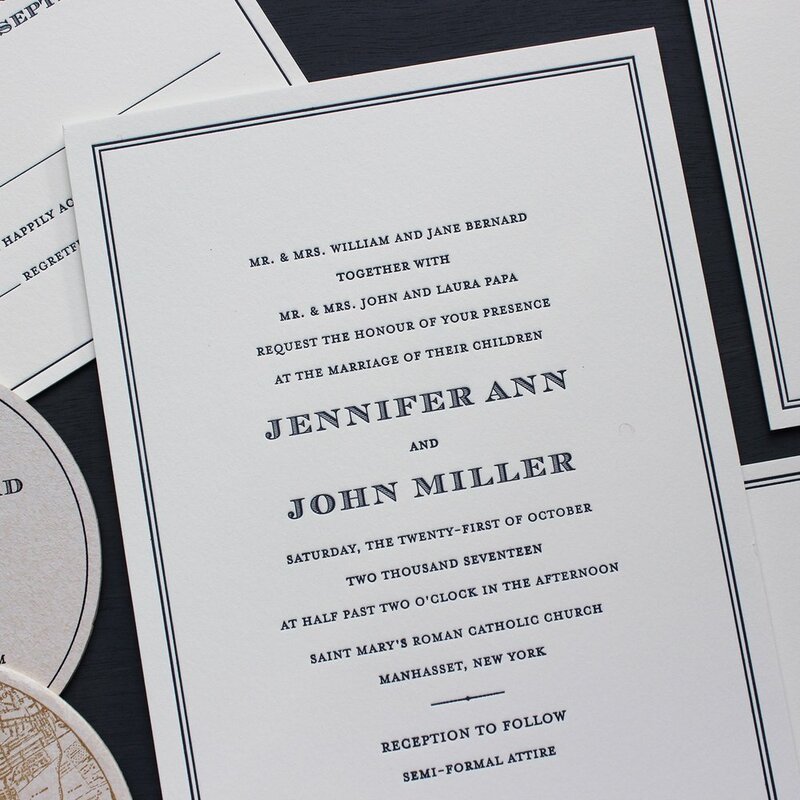 You may also opt to print an invite for the rehearsal dinner, which you would distribute to close friends and family, including those in your bridal party. If you have specific attire requests, make sure to note that on the card. Most couples have wedding websites now. This is a great way to communicate information, particularly accommodation options, maps and registry links. 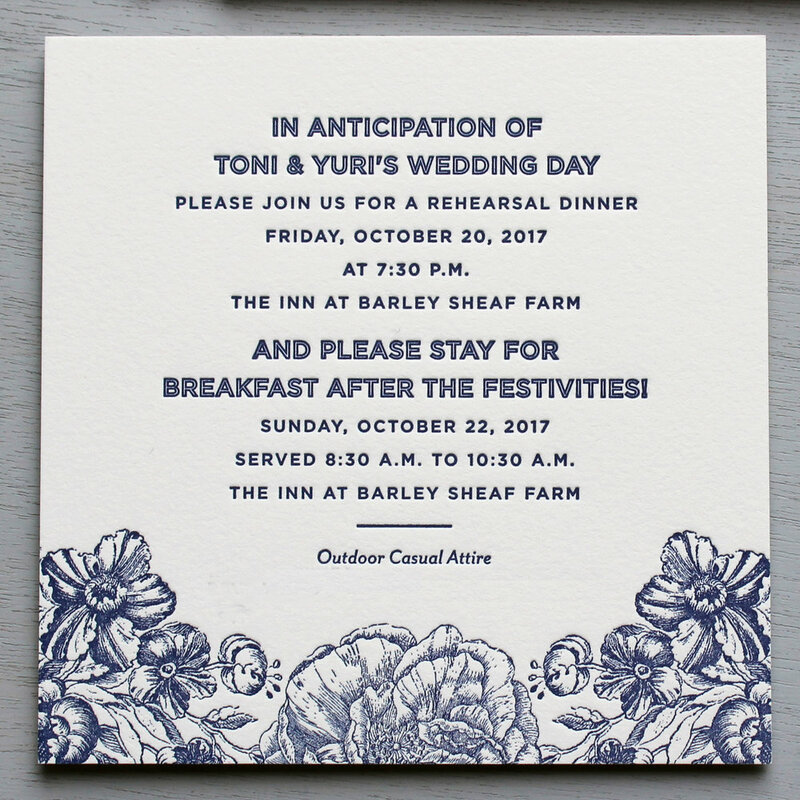 The website is usually included on a save the date announcement but it is also helpful to reiterate this in your invitation suite as you’ve probably updated it and you want to remind guests to check back in. We prefer to not print the website on the invitation card and the response card is returned to you so it will not be helpful there. If you are including an event/information card, the website can be included on that (see below). 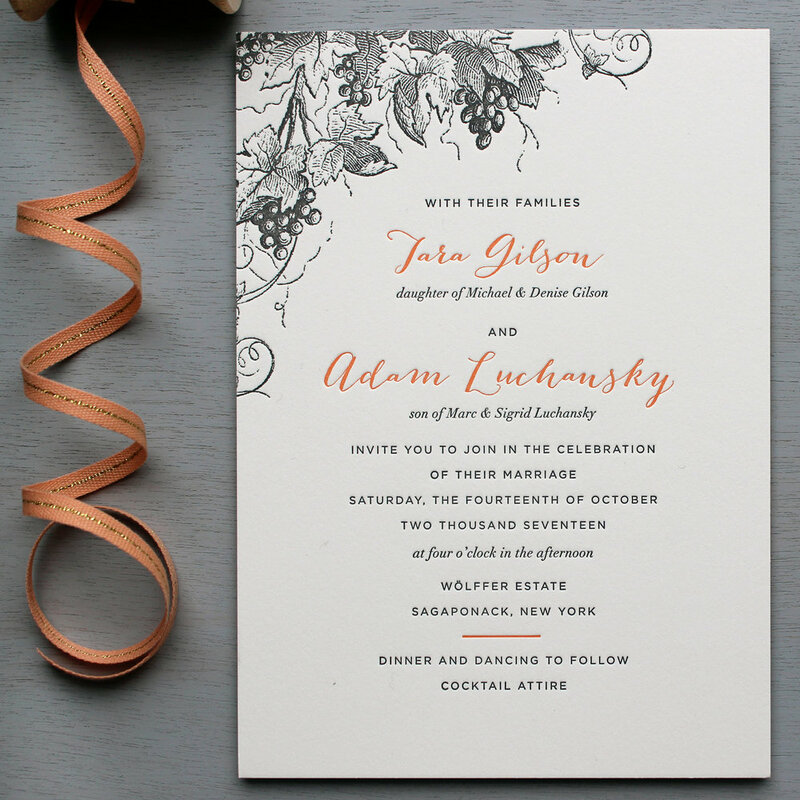 If you don’t need anything lengthy, we love the simplicity of a small wedding website calling card. Just slightly larger than a business card, these are small reminders for your guests to refer to your site for more information on the celebration to come. We view the information card as the insert that makes your life easier. The details on this card direct your guests to your website, it lists the events happening over the weekend (and provides times and locations). The card might list directions and transportation options or even a simple map. We try to anticipate the questions guests may have during the weekend (What time is that welcome party? Is the reception the same place as the ceremony? Where is the brunch?) and include these details on the information card so you don’t have to field phone calls during this busy time.